Look, Look, I am actually posting a wrap post on time. What is happening in the world?! I have gotten back into a real reading, reviewing, and blogging routine at points of this month, which is probably why I remembered this so quickly! OK, so this month that number/volume of reviews is going to be quite a lot shorter than usual. That said, I am still pretty pleased with my progress because I have finished some books that have been on my currently reading list for literally months, and I have read a lot of long books. I completed the Tome Topple readathon this month, the point of which is to read books over 500 pages together, so the fact I have actually managed to read 6 books this month is pretty good going. Probably actually a 3.5 stars, but I can’t actually give that on here. Wow that took a while to read huh? As much as I enjoyed this book while I was physically reading it, I think a book needs a star knocking off if it stays on your currently reading for over 7 months, don’t you? I really liked elements of this books. A lot of stuff happened, and a lot of the likeable/loathable characters began to develop their personas and their plots within the overall story. The problem, however, is that the characters I just don’t care about are also developing theirs which slows the pace of the book completely. Yes, the POV changes allow me to see different view points and different zones of action, but we are often only able to see it through a peripheral or uninteresting character. Where is Robb and Cersei’s chapters? The story has really hit the point of no return, with irreversible happenings throughout every POV we see the action through. Martin is far from sentimental with his characters, which I like and is needed for the story to unfold. No matter what area of Westeros or Essos we’re in, major decisions, battles, and power struggles are taking place effecting everyone. As much as I enjoy these books, I have completely given up at knowing who everyone is. The names all sound so similar within familial units, never mind in general, and there are so many positions in society that are mentioned that is is just impossible (event with the aides at the back) to know who everyone is by name! The Good Liar was being touted everywhere I saw it as an intelligent, well written Thriller. I love me a good thriller. I love the suspense, the action, the emotional investment, the fast-paced twisting plots. So, with this in mind, I write my review. The Good Liar was indeed intelligent, at points witty, and a very well crafted book. The characters were rich, interesting, and full of history. There was a great sense of distrust that I felt with every single character in the story. My problem? Well, it was character driven, which is great, if that is what the book is marketed as. But no, it was marketed as a thriller, and for me, that is the last word I would use to describe it. The book, at points, was boring and sedate which are two words that are no synonymous with thrilling. It was slow, the twists came in the character back stories and not the high paced action. That said, it was a good book, just not a thriller. It wasn’t great. I probably isn’t one I will remember, as it wasn’t one I loved (or hated). 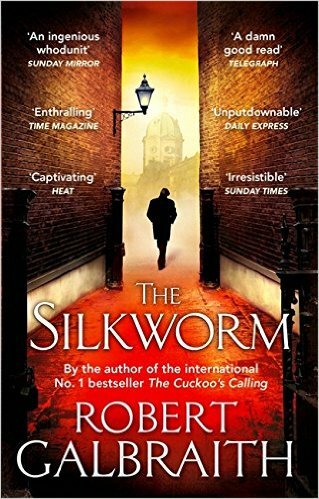 The Silkworm is the second Cormoran Strike novel, and i feel like you can really tell that this is a second novel, for all the right and all of the wrong reasons. Starting with the good: I feel like Galbraith develops the characters that are in this story much more than in the previous book. I feel like the narrative flows a bit smoother, and that the climax of the book is reached through logical and thought out steps. I like that Galbraith also develops the relationship between Strike and Robin. I like that the characters are still deeply flawed, and somewhat dis-likeable, it adds a real feel to the book. And then the bad: I kinda liked the autonomy of being allowed to work things out in the first novel, and feeling a sense of accomplishment that what you thought was going on was indeed the story, so I really missed that. I find Robin’s boyfriend so unbelievably detestable that I wish he had a permanent accident. I didn’t enjoy the premise as much in this as in the first, or at least found it less believable and entertaining. Overall, it was pretty damn good, if a little flawed. Well I certainly read that a little quicker than the last volume eh?! 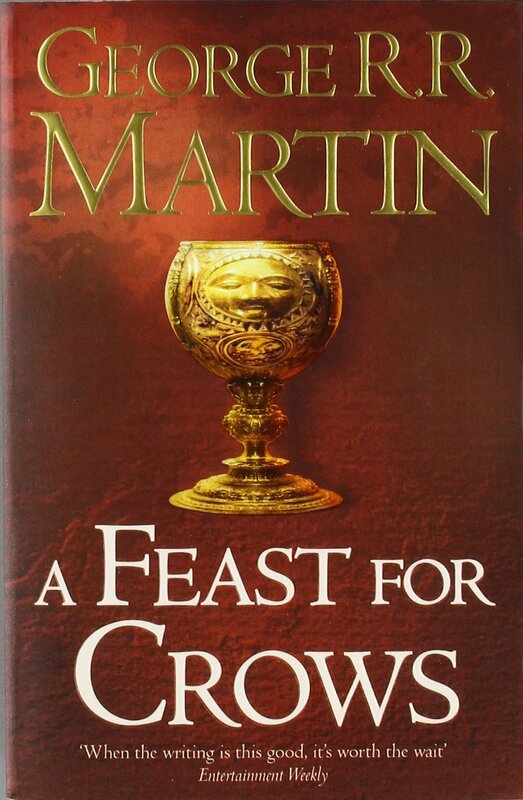 I don’t know whether it was time away from the story, the change in character perspective, or just that I am on a fantasy binge at the moment, but this has been by far the best volume in A Song of Ice and Fire for me. It felt like a huge game of chess, or more accurately, of chinese chequers. Every chapter felt like an elaborate move being made in it’s turn on a huge board. The stories are really starting to develop and intertwine, creating intrigue where there was none, and developing interesting stories that had already been started. In this novel, we see the world’s through perspectives of characters we haven’t previously been given access to the minds of. This simple plot device has split the story wide open for me, as these view points were what I felt was lacking in previous volumes. There was also less story that didn’t feel integral (other wise known as less Bran!). Each piece felt like it was as important as the previous chapter and not there to serve as filler. Long may this turn continue! 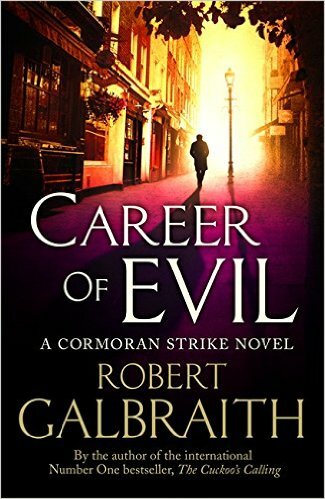 Career of Evil is, well, evil. The book does not hold back with the violence, the graphic horrendous violence. 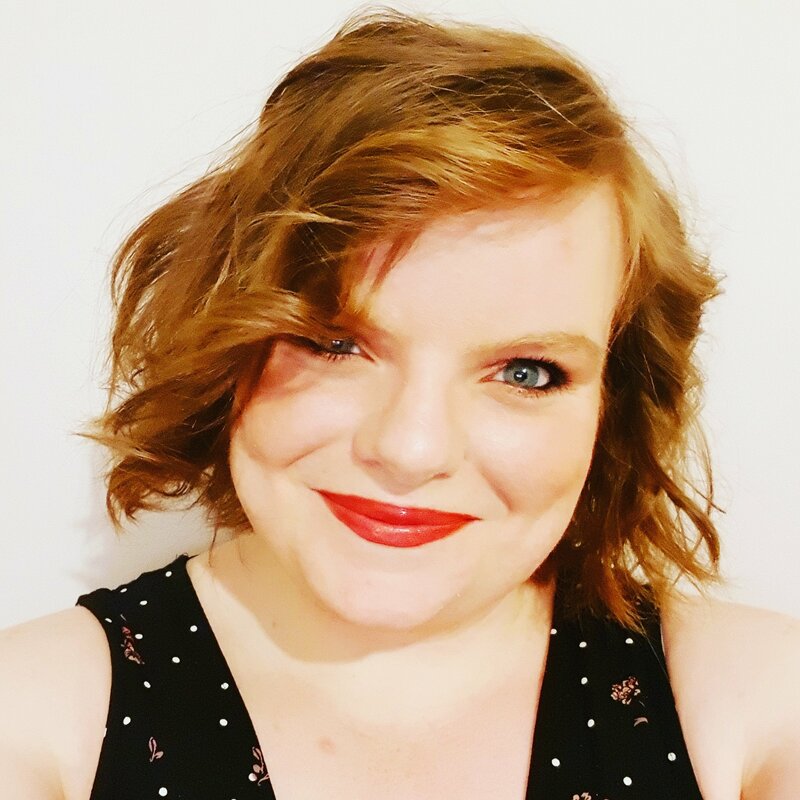 It does not hold back tackling some difficult and unpleasant issues, and confronts them with language that is unsettingly descriptive and powerful. OK, so I don’t quite like it as much as the first in the series, but I am really enjoying delving further into the turbulent and interesting lives of Robin and Cormoran, and there odd relationship. I’m not enjoying Matthew (he could be killed off by a murderer and I’d probably skip round the living room!) but he exemplifies the fact that pretty much no character in the story arc is nice. Yes, Cormoran has redeeming qualities, and Robin is a nice person, but stuff has happened to them both that is horrible and unpleasant. I like a thriller and a murder story, and these are holding up over the series arc, I’m already eagerly awaiting the next in the series. 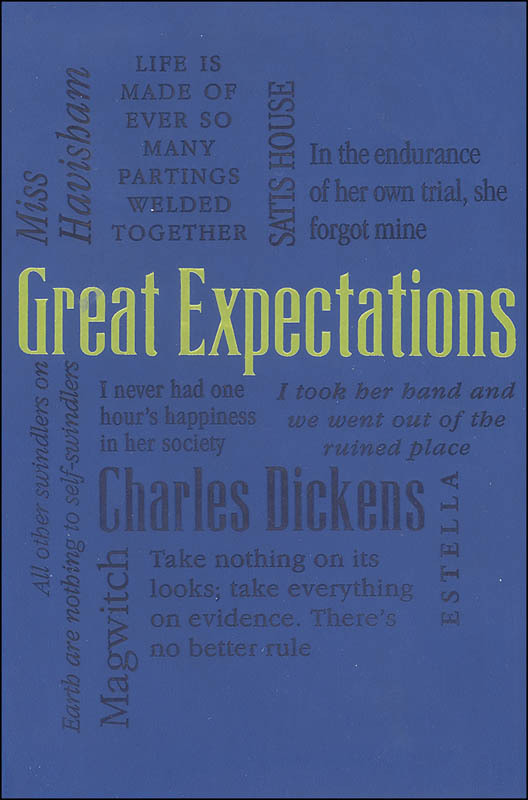 I finally read Great Expectations, roughly speaking, knowing the story from various adaptations and having been repeatedly told that the first part of this book was the best and it was downhill from there. I liked the ideas of the character arcs, and the settings, so I didn’t think it would start disappointing. But disappointing it was. That’s right, I didn’t love the first part. I didn’t think the bit on the marshes was brilliant, I didn’t love Satis House and Estella, and if I am honest, I struggled a little bit to get to the end of part one. When I finished the book, I look back and enjoy the section in retrospect a lot more than I did at the time, but it’s largely due to the rest of the book. Everyone told me that when it went to London, I would lose interest and give up reading it, but no, for me this is where the book came alive. I thoroughly enjoyed the changing character profiles and interactions, and if the books had started here I probably would have given it the fifth star. The book held during the last part, the depth provided by Magwitch and Havisham definitely made it more enjoyable. I really loved doing Tome Topple this month, and reading some longer and varied books. I have read stuff that I have been longing to finish, or to start for ages. I have also moved within 11 books of my yearly Target on Goodreads, to the point where I am seriously thinking of a new suitable target to set it at. I have also been given my first ever ARCs to read (look out for some reviews over the next month!) by NetGalley, I’ve received word that I am going on a super work trip next month to America, I have booked to go to Disney, I have bought my new phone, and have embarked on a Marvel movie marathon as well. It’s been a good April. On to May (and Bout of Books). How have you done this month? What have you been reading? Oooh. It’s always so exciting getting an arc from netgalley. Christmas! I’ve never had one before, and it is the follow-up to a book I absolutely loved earlier in the year so very pleased!! I did love Feast, by far my favourite! 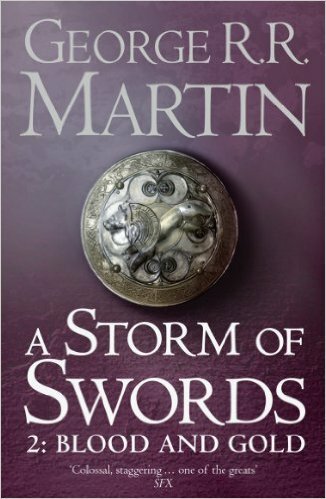 Oberyn is mentioned, but only by proxy, I think his big bits were in A Storm of Swords? They’re so good! Ah okay. I read them all at once so I have actually no idea what book things happen in lol. Haha, yeah they all merge into one as soon as you read them to be fair! Yeah it is, can’t wait. I am finishing up a couple of more simple reads so my mind is clear after the big ones I have recently read and then I am going to enjoy reading my first ARC muchly.